According to the Mirror, Alexis Sanchez's relationship with Manchester United manager Mourinho is "at breaking point" after the Chilean was dropped for Tuesday night's Champions League victory over Young Boys and the striker is said to be keen on a move away. Sanchez has struggled since joining United from Arsenal in January and seems unhappy with his position at the club amid growing speculation linking the former Barca star with a switch just 12 months after his arrival. The 29-year-old did not make the squad for Tuesday's game and has started the last two Premier League games on the bench. Sanchez has found the net just once in 10 games this season and has lost his place to Anthony Martial on the left of United's attack. 23.30 GMT: That will do it for tonight's Transfer Talk Live blog. Remember to check back in a few hours for the latest clippings and reports pulled straight from papers around the world. Have a good night! 23.00 GMT: Despite reports from Marca linking Real Madrid and Tottenham playmaker Christian Eriksen, sources have confirmed to ESPN FC, that no approach for the Dane has been made by Madrid or any other club. The Marca report claimed that Spurs had quoted Real Madrid around €250 million for Eriksen but the club have been quick to squash those reports. Eriksen came off the bench Wednesday to score a vital winner as Spurs beat Inter to keep their Champions League hopes alive. A player of Eriksen's calibre will always have suitors but according to Spurs, to this point, no one has come calling just yet. 22.13 GMT: An update on Atlanta United star Miguel Almiron. Newcastle reportedly have representatives in the United States discussing a potential transfer of the Paraguayan to St James' Park. Almiron, who scored 12 goals and assisted another 11 this season, plays Thursday night in the second leg of the Eastern Conference finals. 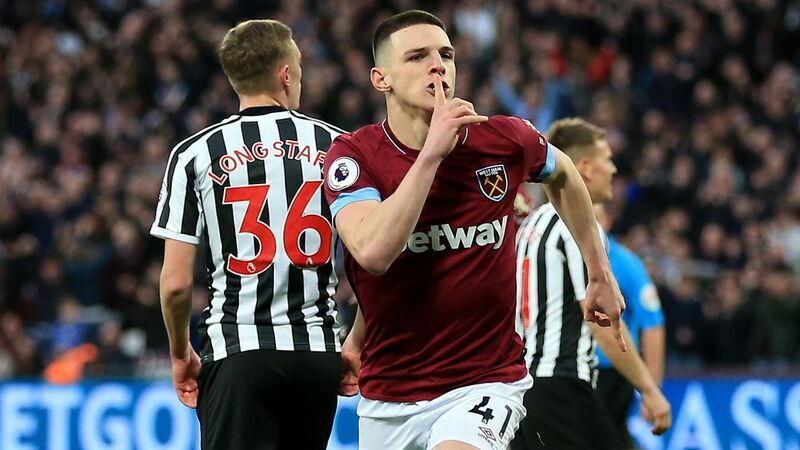 Almiron is being valued at £25 million and would bring attacking flair to a Newcastle side that has been devoid of creativity and goals. Arsenal are another club often linked with Almiron but at least at the moment, Newcastle look to be the leaders for the 24-year-old. 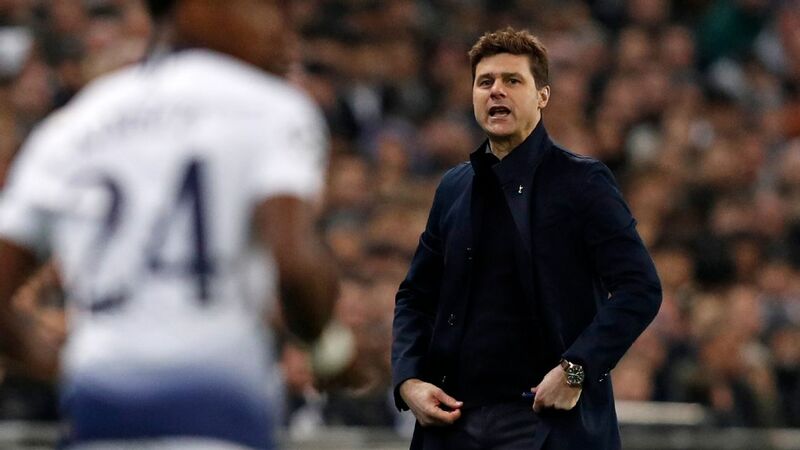 21.20 GMT: With rumours swirling that Mousa Dembele is in his final days at Tottenham, Estadio Deportivo writes that Spurs identified a potential replacement. That player is Genk midfielder Sander Berge. The 20-year-old Norwegian has impressed since moving to Belgium and boats an imposing figure at 6-foot-four. Berge has made 12 appearances for Norway at senior level and is also being linked with Arsenal, West Ham and Everton. Genk has made a habit of producing top-class midfielders as Man City's Kevin De Bruyne, Lazio's Sergej Milinkovic-Savic and Leicester's Wilfred Ndidi all came through the Genk pipeline. 20.11 GMT: For Aston Villa fans reading the tea leaves, there may be good news on the Callum Hudson-Odoi front. Chelsea boss Maurizio Sarri has spoken publicly about his struggle in finding playing time for the talented youngster, hinting that the player may be set for a loan spell come January. Sarri told football.london "It's not really very easy because, at the moment, we have 28 players so, for me, it's not easy. 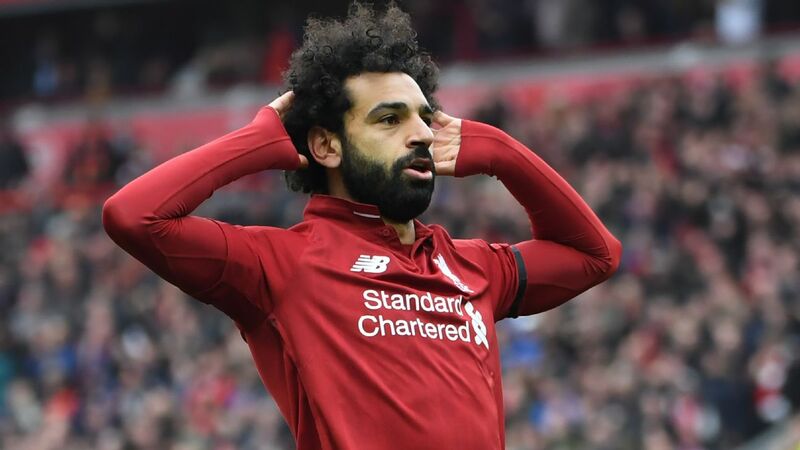 Not easy to put him in the starting XI because, maybe, on the bench in the Premier League matches there was [Victor] Moses or Pedro, so it's difficult not to put that kind of player in the starting XI for Thursday." Hudson-Odoi did start vs. PAOK and Villa will surely be watching, as they hope to add him in January to Tammy Abraham, another Chelsea youngster on loan at Villa Park. 19.20 GMT: Man City are reportedly set to snap up another top young talent. Portuguese newspaper Record writes that City are the favourites to land Benfica youngster Tiago Dantas. The 17-year-old midfielder has impressed this year in the UEFA Youth League and only has a contract with Benfica through the end of the season. The Portugal Under-19 international would b the latest young talent snapped up by Pep Guardiola and City. 18.02 GMT: According to a report in the Daily Mail, Watford are the latest club to express interest in Nottingham Forest winger Joe Lolley. 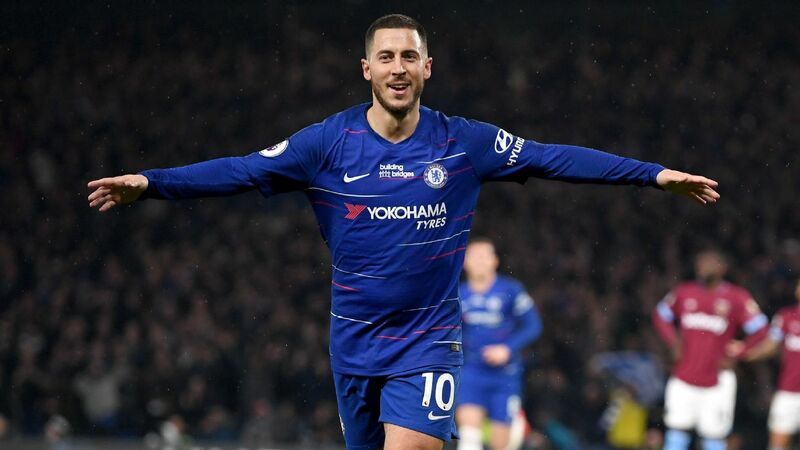 The 26-year-old winger scored his seventh goal of the season Wednesday vs. Aston Villa and is in a rich vein of form at the moment. The in-form winger joined Forest from Huddersfield in January for £1 million but would likely go for five-times that now. According to the report, West Brom and Cardiff are also closely monitoring the player. 16.51 GMT: Dominic Solanke's move to Rangers may not be a sure thing after all. The Liverpool striker has been rumoured with a move to ex-Red Steven Gerrard's Rangers but now Sky Sports claims Premier League sides Huddersfield Town, West Ham and Crystal Palace are circling. Solanke has yet to play for Liverpool's first team this season and is likely to be loaned out in January. Will Gerrard get the "hometown discount" for the Liverpool man or will Solanke stay in England and the Premier League? We should know in a few months. 16.00 GMT: The very definition of success... Isaac Success... has signed a new deal with Watford. 15.22 GMT: Confirming this from earlier: Manchester United have triggered an option in David De Gea's contract that will keep him at the club until 2020, sources have told ESPN FC. 15.14 GMT: Lionel Scaloni looks set to be announced as the new Argentina manager on a contract of two years. Stand by for a statement either today or tomorrow. 14.55 GMT: Samuel Umtiti may need surgery on his knee injury and that would cause Barcelona a bit of a problem in defence. However, say Sport, the solution would come in a move for Chelsea's Andreas Christensen. Christensen isn't happy in London and would be keen on a January loan move to get more playing time, while that would also suit Barca as they wait until the summer to land top target Matthijs de Ligt from Ajax. 14.21 GMT: Sampdoria winger Dennis Praet has signed a new contract. Had been linked with Juventus and Arsenal in the past, but he's staying until 2021. 14.15 GMT: How much is Tottenham's Christian Eriksen worth? Transfermarkt say £72m, while you could see the club perhaps getting north of £100m for a 26-year-old in his prime. But no, Tottenham want £222m for him (around €250m), according to Marca. And the Spanish outlet seem rather miffed that Real Madrid can't buy the midfielder for the £12m that Spurs did back in 2013. 13.41 GMT: Could Real Madrid forward Gareth Bale be set to join Cristiano Ronaldo at Juventus? 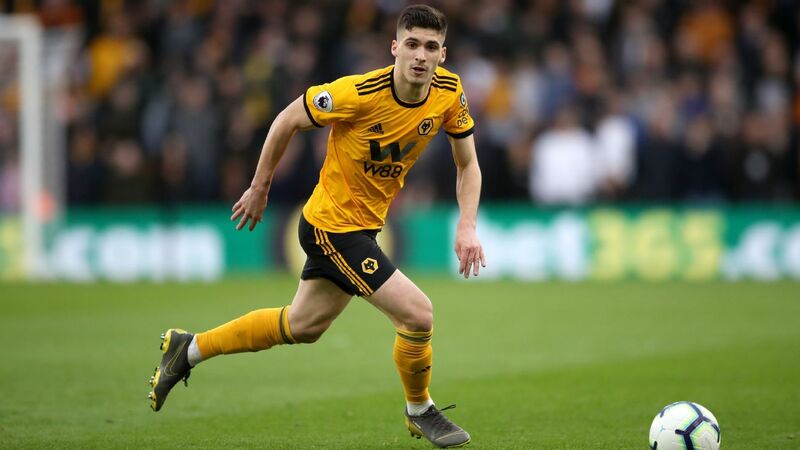 His agent Jonathan Barnett has been speaking to the print edition of Tuttosport (with quotes via AS) and seemed to suggest it could be a possibility in the future. "Gareth is very happy at Real Madrid, but if we're talking about the future then nothing is impossible in the transfer market," he said. "Ronaldo was an important loss for Real Madrid. Gareth loved playing with Cristiano, but he's happy because he's at a top club. "It's true that since CR7 arrived the best players around the world are starting to consider Serie A and start looking at it in a different way compared to the last years." 13.29 GMT: Former AC Milan sporting director Massimiliano Mirabelli has revealed he wanted the Rossoneri to sign Pierre-Emerick Aubameyang in the summer of 2017, but the club opted for Nikola Kalinic. Aubameyang started his professional career with Milan and retained a special relationship with the club. However, when he eventually left Borussia Dortmund, he moved to Arsenal. Mirabelli said the club had a list of high profile forwards they were interested in but then manager Vincenzo Montella chose Kalinic. "The first choice of [then-manager Vincenzo] Montella was Kalinic," Mirabelli told Sportitalia. "The relationship with Aubameyang has been known for years, even though Dortmund wanted a lot. We had to take into account the requests of the manager. We were dealing four attackers who were [Karim] Benzema, [Alvaro] Morata, [Gonzalo] Higuain and [Ciro] Immobile." 13.00 GMT: Sky Sports claim that Manchester United have taken the option to extend David De Gea's contract by another year until 2020. Not really surprising given his form. 11.36 GMT: AS claim that Manchester City and Juventus had "seemingly given up hope" of securing Isco's services when he signed a new deal last year. But now he's been dropped, the pair are back in for the 26-year-old. The question is: will Real Madrid allow him to go? 10.50 GMT: Manchester City's Brahim Diaz isn't getting games in England so he's looking to move on, but Real Madrid are ready to move for him in January, say Marca. 09.41 GMT: Diario AS report that Real Madrid no longer want to send Marcos Llorente on loan in January after the midfielder's solid performance against Roma in midweek when he started in place of Casemiro. 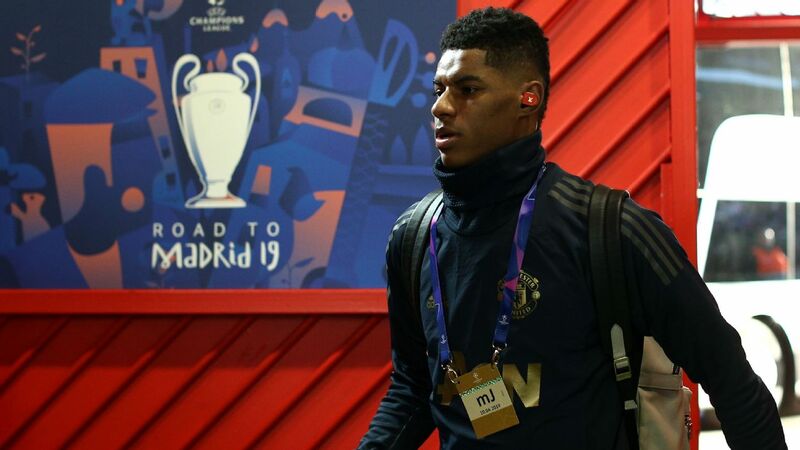 The 23-year-old had reportedly wanted to leave Madrid on a season-long loan in the summer before then-coach Julen Lopetegui convinced him to stay. Llorente has only made one appearance for Los Blancos in La Liga as a substitute and AS report that Madrid had all but accepted the player's loan move to Alaves in January. 09.16 GMT: Genoa's coveted forward Krzysztof Piatek has told Sky Italia that he is happy at Genoa, but says he does dream of playing in the Champions League one day. 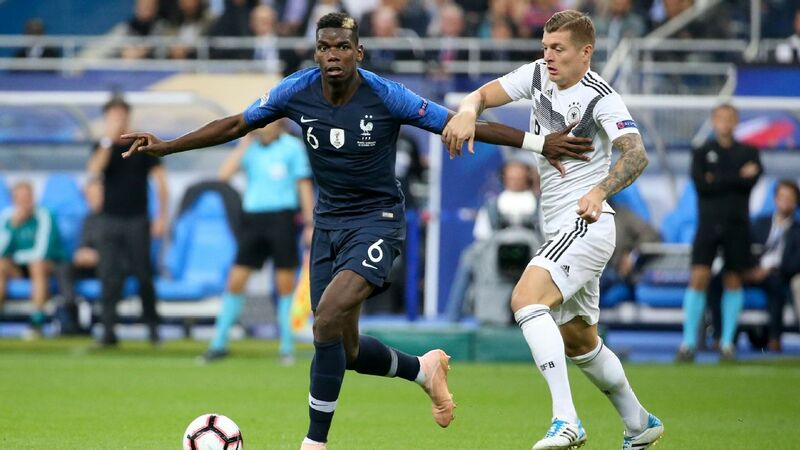 Something Barcelona, Chelsea, Bayern and many of the other top clubs chasing him should be able to offer next season. 08.52 GMT: Argentina midfielder Giovanni Lo Celso says he would like to remain at Real Betis when his loan deal with parent club Paris Saint-Germain expires next summer. Lo Celso moved to Betis on a season-long loan in August with the Spanish club having an option to buy the 22-year-old. "I've said many times that I'm very happy here and I'm enjoying the moment," Lo Celso said as reported in Marca. "I have the support of my colleagues and that is important. I've been well looked after since I arrived here. I knew which team I was coming to and it's a competitive side that wants to have a starring role. Betis was the right place for me to come. My only thought is continue playing here. I'm young and I still have a lot to learn." 08.30 GMT: Atlanta United and Paraguay midfielder Miguel Almiron has been the subject of reported interest from Arsenal but the Daily Mail reckon that Newcastle are stepping their interest in the 24-year-old. Manchester United have made Jan Oblak and Jordan Pickford their top two candidates to replace David De Gea, who is expected to join Paris Saint-Germain, according to the i. The Spain international is said to be stalling on signing a contract extension with his deal set to expire at the end of the season. United are keen to trigger a 12-month option but, if De Gea wants away, they will pursue Atletico Madrid's Oblak or Everton keeper Pickford. United boss Jose Mourinho has claimed he wants De Gea, who has been at Old Trafford since 2011, to stay. But the Red Devils are exploring possible replacements for the 28-year-old. Neither Oblak nor Pickford would come cheap, though. The England No. 1 is under contract at Goodison Park until 2024 and the Toffees would expect a fee comfortably in excess of the £30 million they paid Sunderland in 2017. Oblak, meanwhile, is one of the most highly regarded goalkeepers in the world. The Slovenian's release clause is £87m. If United met that, it would surpass the record £71m Chelsea paid to sign Kepa Arrizabalaga from Athletic Bilbao. Everton boss Marco Silva is ready to raid his former club Watford once again, this time for midfielder Abdoulaye Doucoure, according to the Mirror. The powerful Frenchman was a star performer under Silva at Vicarage Road and has continued his fine form under Javi Gracia this season. Having already captured Richarlison from Watford for a club record £40m in the summer, Silva may test the Hornets' resolve once again as he looks to build a Toffees squad capable of pushing for Champions League qualification. Bayern Munich are the front-runners to sign Chelsea winger Callum Hudson-Odoi, according to the Sun. The 18-year-old is hesitating over signing a contract extension with the Blues after being left frustrated at a lack of first-team opportunities under Sarri. 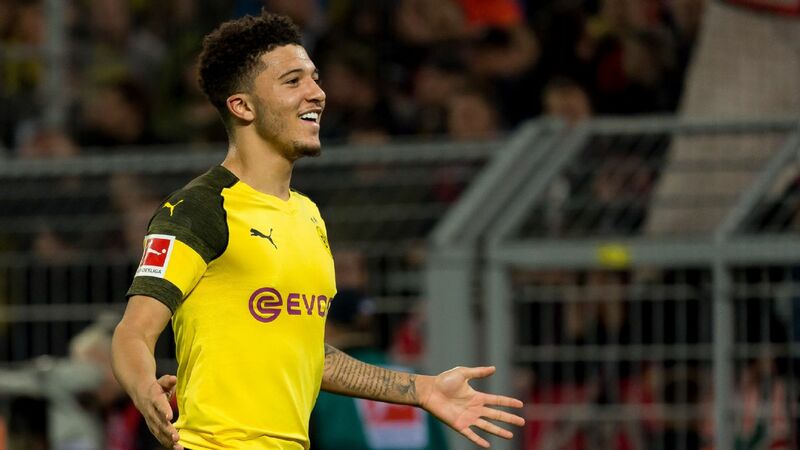 The Bundesliga champions are hoping to capitalise on the situation, and the success of Hudson-Odoi's fellow English starlets Jadon Sancho and Reiss Nelson in Germany this season may make a switch to the Allianz Arena all the more alluring. Bayern are in the market for a winger with Arjen Robben and Franck Ribery coming towards the end of their careers, and Hudson-Odoi, who has failed to make a Premier League match-day squad this season, would be an intriguing -- and exciting -- option for the Bavarians. Cesc Fabregas is set to join AC Milan from Chelsea in a £10m deal in January, as per the Sun. The Spaniard does not currently feature in Sarri's plans at Stamford Bridge and the Italian coach has greenlit the midfielder's move to the San Siro. Although Fabregas' contract expires next summer, Milan boss Gennaro Gattuso is keen to seal his signature in January to bolster his injury-hit squad. The possibility that transfer rumours happen is given a score out of five, based on Football Whispers' transfer algorithm. United have been handed a boost in their long-running pursuit of Inter winger Perisic after the Croatian revealed his desire to play in the Premier League. 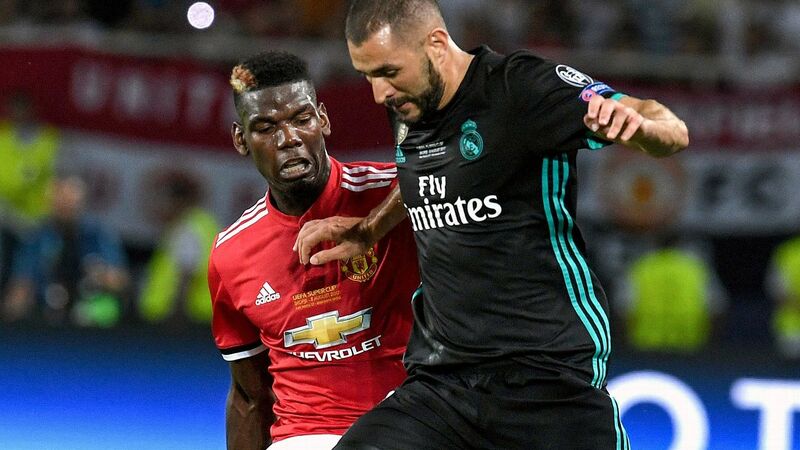 United have been strongly linked with the 29-year-old in the past and, although the Italian club value him at an eye-popping £40m, the Red Devils may revive their interest in January or next summer. "I have always said that [playing in the Premier League] is my dream," Perisic said ahead of Inter's Champions League defeat to Tottenham. The highly sought-after Dutch pair continue to be strongly linked with a move to the Catalan giants. 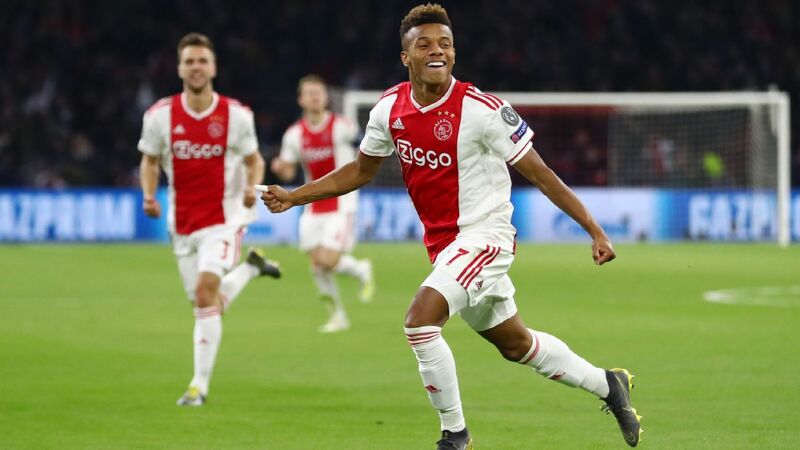 However, Ajax will demand £124m for the pair, who are also interesting Juventus and Manchester City. The veteran defender could make a return to English football with Villa following his release from LA Galaxy, as per the Sun. The move would see Cole, 37, reunite with his former Chelsea teammate John Terry, who is Dean Smith's assistant manager at Villa Park. The Gunners are one of several clubs eyeing a deal for Newcastle goalkeeper Woodman. According to The Mirror, Leeds and Celtic are also keeping close tabs on the 21-year-old, who is currently third-choice at the Magpies behind Martin Dubravka and Rob Elliot. Sky Sports are reporting that Huddersfield have joined the race for Liverpool striker Solanke. David Wagner is keen to bolster his strike force with the Terriers fighting to avoid the drop and Solanke, who hasn't featured in the Reds first-team this season, has emerged as a key target.